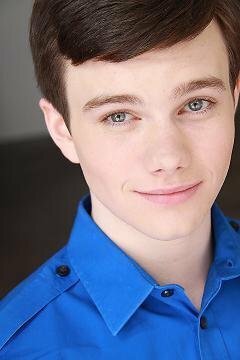 Glee star Chris Colfer, who plays Kurt Hummel on FOX’s hit show, has signed a two-book deal with Little, Brown Books for Young Readers. The actor is writing The Land of Stories, a modern take on classic fairytales, for 8-12 year old readers. It will be released in Summer 2012 and will be followed be a second untitled novel. Apparently, when Colfer isn’t starring on Glee, he has been very busy writing. The 21-year-old also recently wrote a pilot for the Disney Channel as well as the independent movie Struck by Lightning. A fast-paced adventure that uniquely combines our modern day world with the enchanting realm of classic fairytales, The Land of Stories tells the tale of twins Alex and Conner Bailey. Through the mysterious powers of a cherished book of stories, Alex and Conner leave their world behind and find themselves in a foreign land full of wonder and magic where they come face-to-face with the characters they grew up reading about. Colfer isn’t the only member of the Glee cast with a book deal. Jane Lynch, who plays the scheming Sue Sylvester, will release her memoir in the fall. So what do you think? Modern takes on classic fairytales seem to be a trend in both publishing and Hollywood. Are you excited to read The Land of Stories?